One of the positive changes that’s been building in Nashville for a long time: Our residents are continuing to get more and more passionate about health, wellness, and how what they eat every day feeds into that. More specifically, from Nashville restaurants to our own kitchens, we’re focusing on eating local, seasonal, organic and/or natural food, and all-around knowing where our food is coming from and how it’s grown, produced or made. One of our team’s favorite recommendations for making sure you’re getting fresh, local food on a regular basis: joining a Nashville-area CSA. If you’re not familiar with the CSA concept, it stands for Community Supported Agriculture — you’re essentially buying a “share” in a local or regional farm, and in return, getting a regular delivery of what they grow/farm/make, ranging from produce to meat, eggs, baked goods and preserved foods. 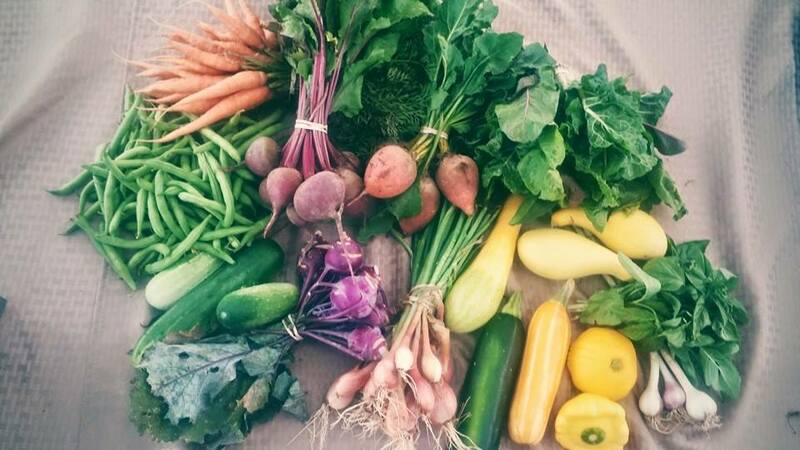 Most Middle Tennessee CSA programs have delivery spots all around town, from East Nashville to West Nashville — weekly, biweekly or monthly, CSA members go to their regular pickup spot and grab a box of what they invested in. It’s a very direct connection to local farmers, and a way to get very fresh food on your table. We’re lucky in Middle Tennessee to have a treasure trove of farms with CSA offerings, so we can be choosy, finding farms that offer exactly what we like, and exactly what we want. The downside, if there is one: It can be hard to sift through the many options. This all adds up to why we recommend putting Saturday, Feb. 25 on your calendar: During the third Annual Community Supported Agriculture Fair at the Nashville Farmers Market in Germantown (900 Rosa L. Parks Blvd. ), you’ll be able to explore a wide cross-section of Middle Tennessee farms and their CSAs, meeting and chatting with farmers, learning about their growing methods and harvest schedules and asking questions about how their individual CSA programs work. By hanging out at the fair, meeting/greeting farmers and digging deeper into how their farms and CSAs operate, you’ll be able to find a program that delivers where you want, when you want and what you want (or at least as close as possible). Two different CSA offerings: a vegetable CSA, including a seasonal mix of more than 50 varieties of vegetables, from spring kales and collards to summer corn and melons and fall squash and greens; and a pastured meat CSA, including beef, lamb, pork and chicken. While not certified organic, Paradise Produce uses no chemical fertilizers, GMOs, herbicides, pesticides or fungicides on their farm, and their CSA is Market Style, so instead of getting an already stocked box, you browse and choose what you want, to fill out your share size. There are lots of other types of CSA options here, and you’ll be able to get acquainted with many at the fair. Fun side note: the CSA Fair isn’t just an educational/farm-fresh-food shopping mission — it’s also set up to be a fun morning/afternoon, with food trucks onsite, 14 locally owned business inside the Farmers Market Market House sharing breakfast, lunch and drinks, and chef demos scheduled in Edible Nashville’s The Edible Kitchen. The event runs from 10 a.m. to 2 p.m. that day, and is free to attend. If you need more info, drop by the Nashville Farmers Market website and/or the CSA Fair Facebook Event page. Are you about to start looking for a new Nashville-area home to cook your CSA-inspired meals in? We’d love to help you find it. Call or email ACRE, and let’s talk about your new-home must-have list!